Once upon a time, I was college graduate who solely wanted to accomplish goal after goal after goal. I truly feel this constant need to do more came from grade school. If I was goofing around, there was some project or some test I was putting off. This feeling translated into my adulthood. It’s one of the great lies we tell ourselves that accomplishing more titles or more projects will also translate into more happiness in the future. When we focus on bringing joy to our lives in the here and now, we start living our best lives today. In recent years, I’ve focused more on my own personal joy. This came from the realization that taking time out for fun is an amazing investment. To make space in my life for fun has equipped me with the ability to better help others. To be creative and to have a fresh perspective on things when I go to write, or even when getting creative with charity work, it really takes a good balance of work and play. You should never feel guilty to take time out for yourself. The beautiful thing about joy is that it’s contagious. Happy people truly can better help others find more joy in their lives. With this logic in mind, it’s easy to see how your own joy can not only be a good thing for you, but everyone around you. Making joy your priority is anything but selfish. 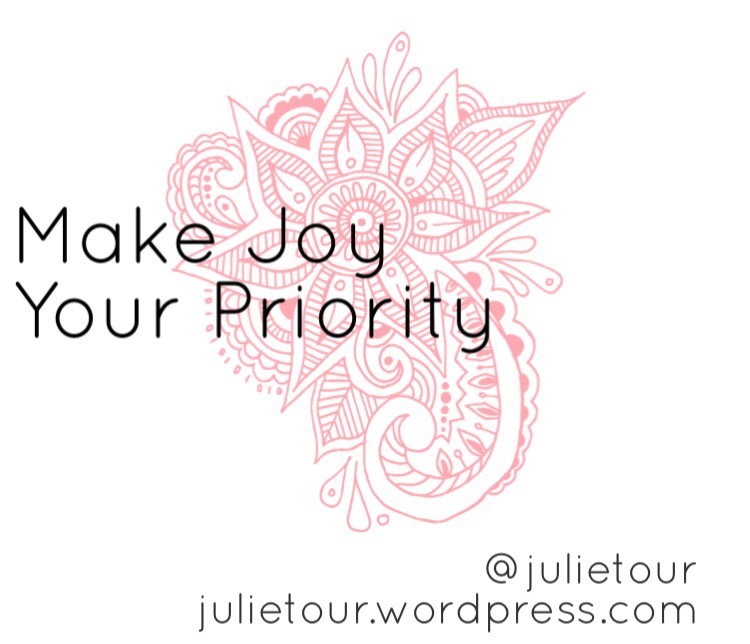 To make joy your priority is to bring more joy to not only yourself, but to the world around you. This planet could definitely use more of that.